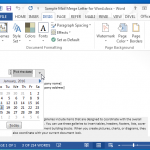 Microsoft Word has come up with many exciting features in the recent years. These features have made it much easier to work with Word especially with all the latest developments in technology. 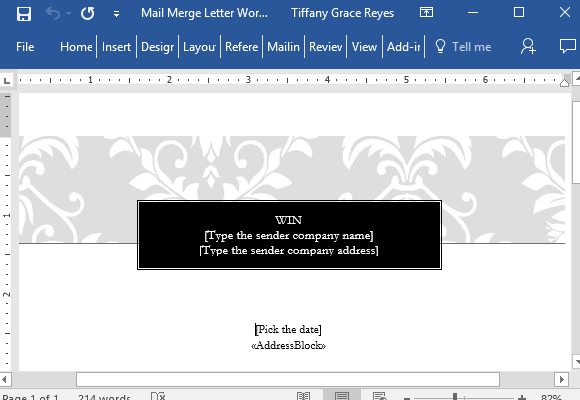 One great feature Word has is Mail Merge, which allows you to create personalized letters using a form, with pre-addressed envelopes or mailing labels for mass mailing. 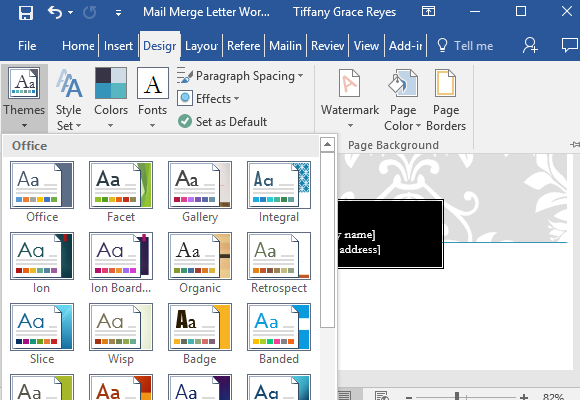 The Mail Merge Letter Word Template is a great template that you can use for sending out many mails that convey the same message. 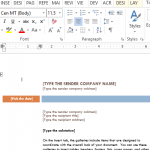 Whether it’s for corporate to corporate, interdepartmental, or to customers, you will save a lot of time with your mails with this mail merge letter template. This template features a very elegant design, with damask patterns on the overlay at the top of the letter. There’s another shape overlay, this time in black, which shows the sender’s company and company name. Then, below, is the body of the letter. Here, there are placeholders and auto text to allow you to concentrate more on the content of your mail. As you can see, the body of the letter contains sample text. 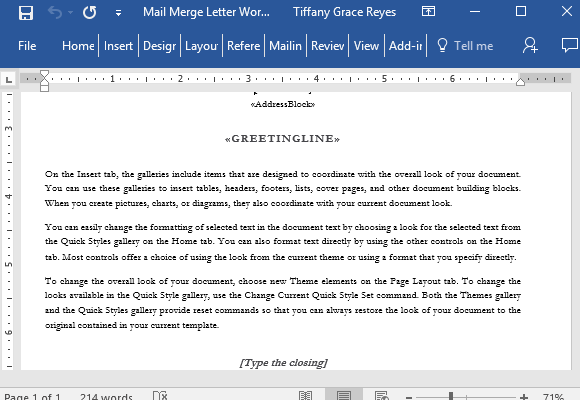 This text contains tips and instructions for you to learn how to use the mail merge letter template as well as to customize it. 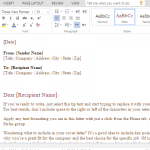 This sample text shows you how your own mail merge letter will look like. 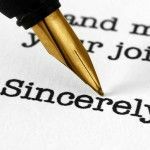 At the bottom of the body of the letter is enough space for your closing remarks as well as your name as the sender, the sender title and company name. To customize this template, you can just go to the Design tab to choose styles and themes that best show your own style or better yet, your company’s or organization’s brand identity. You can also change the color scheme as well as text styles without worrying about the whole layout of the template completely changing. 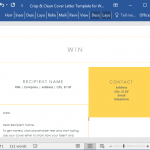 You can also upload this mail merge template to your Word Online or OneDrive account so you can easily share it or retrieve it for modification each time you need to write and send mails.